Log Cabin Blanket. 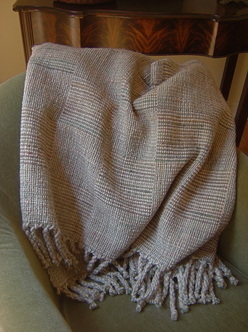 Wool - Harrisville, Manos del Uruguay singles and singles from local spinner and dyer Pat Ransdorf. 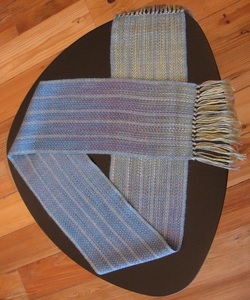 Lavender space dyed scarf. 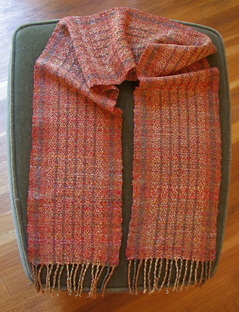 Art Yarn brand kid mohair and silk warp with silk weft. Crepe weave. 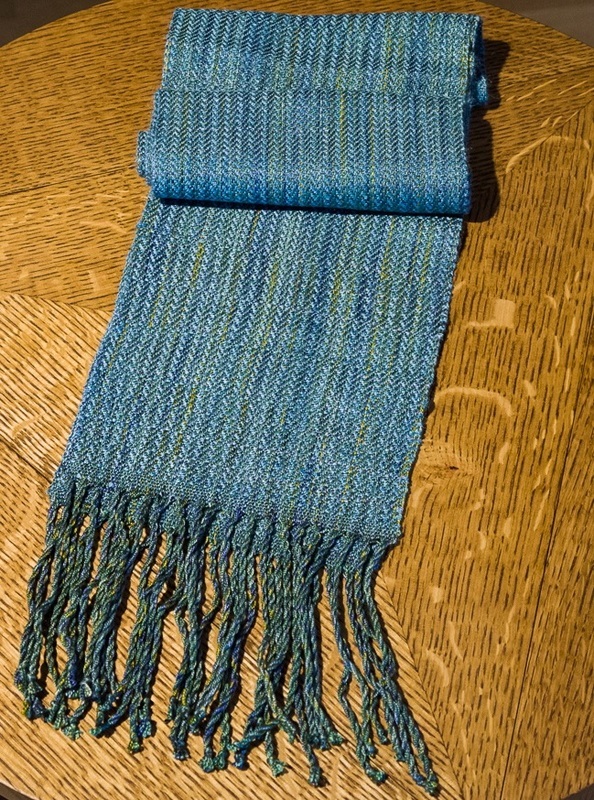 Art Yarn warp wound so that the variegation looks more like ikat than just a random space-dyed warp. 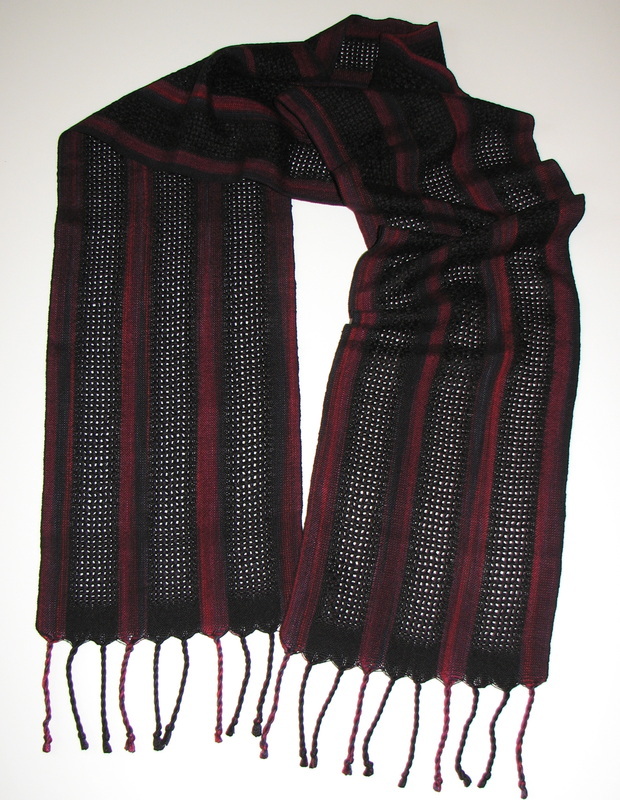 Black and red scarf. 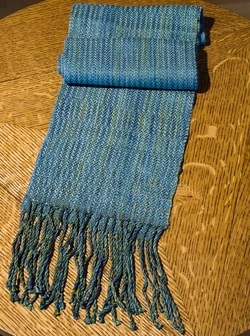 Huck lace and plain weave scarf of 10/2 tencel. 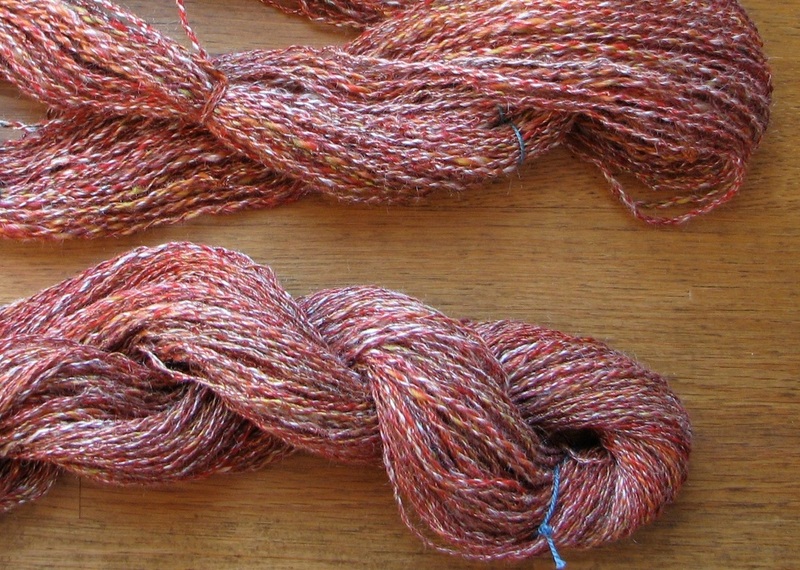 Space dyed yarn from Jane Stafford. 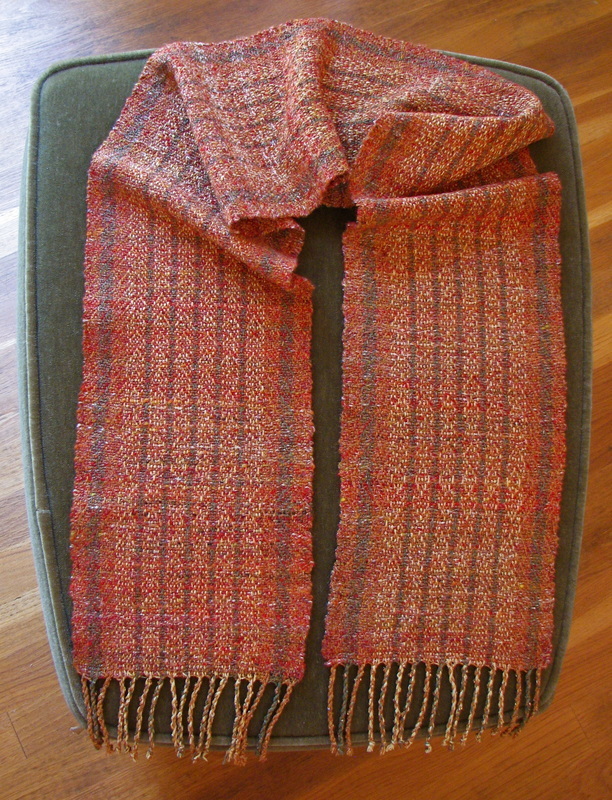 Design a variation of a scarf in Handwoven. Home About Membership Events Learning Resources Showcase Support TWG Only Site Map What's New?